Apetumodu of Ipetumodu dies at 80. 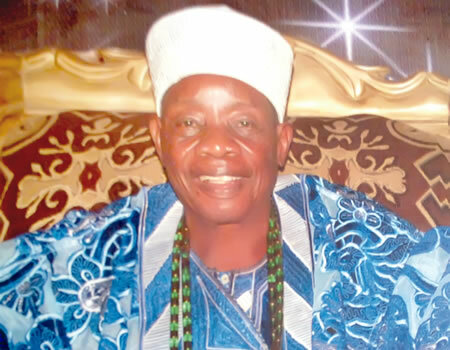 The Apetumodu of Ipetumodu, in Ife North Local Government Area of Osun State, Oba James Adedokun Adegoke, has passed away at age 80. Naija News gathered that the monarch died on Sunday afternoon at his palace in Ipetumodu. A family of the late monarch, anonymously, confirmed the news to Punch, saying the death had not been officially announced. “It is true that Kabiyesi has gone to be with his ancestors. It happened on Sunday afternoon. He was not sick. “He had said long before he died that he should be buried immediately. He said he was never a member of any secret cult and said that his children should not allow anybody to intimidate them,” the source said. The source said the Apetumodu in Council would announce the demise of the monarch at the appropriate time. He added the chiefs would make some arrangements before the news would be announced. 0 Response to "BREAKING: Osun monarch, Apetumodu of Ipetumodu is dead"